Basic Science will support your learning, test and enhance your knowledge and boost your exam confidence. Benefit from the experience of our expert contributors, our rigorous review process and supporting material from leading Elsevier publications generations of medical students have come to trust. OSCEs for Medical Students Volume 2 is the second in a series of three titles designed to support you through your Objective Structured Clinical Examinations (OSCEs). Fully updated, these second editions of our best-selling titles now contain new communication skills and clinical examination stations throughout. 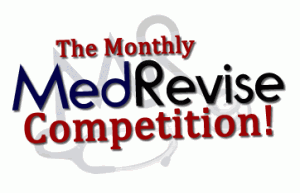 Medical Student Finals Online Revision course features over 2000 revision EMQ stems and more than 900 SBAs. All questions are written by key experts in undergraduate medicine and follow the course structure in order to help you practise and familiarise yourself with the actual format of the exam! Exam Doctor’s DRCOG exam online revision course features over 500 revision EMQs, SBAs and 5-part MCQs. All questions are written by key experts in general practice and follow the current examination syllabus in order to help you practise and familiarise yourself with the actual format of the exam!